Nike’s marketing pitch: The Nike Air Zoom Pegasus 35 is built for runners at every level. Upper: Engineered mesh, full-length inner sleeve. 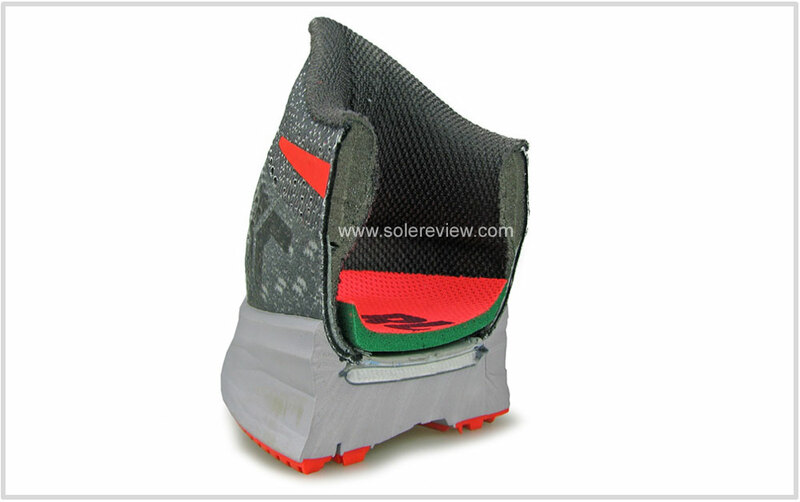 Midsole: Full-length Zoom Air bag, EVA foam. 10 mm heel to toe offset. The Pegasus gets better. The midsole cushioning is now delivered by a full-length Zoom Air bag, and the upper redesign results in a more comfortable fit. Versatility is the only reason why the Nike Pegasus has been around for over three decades. While the shoe was never positioned as an entry-level product, it was always an excellent generalist. And that’s what makes it so appealing. 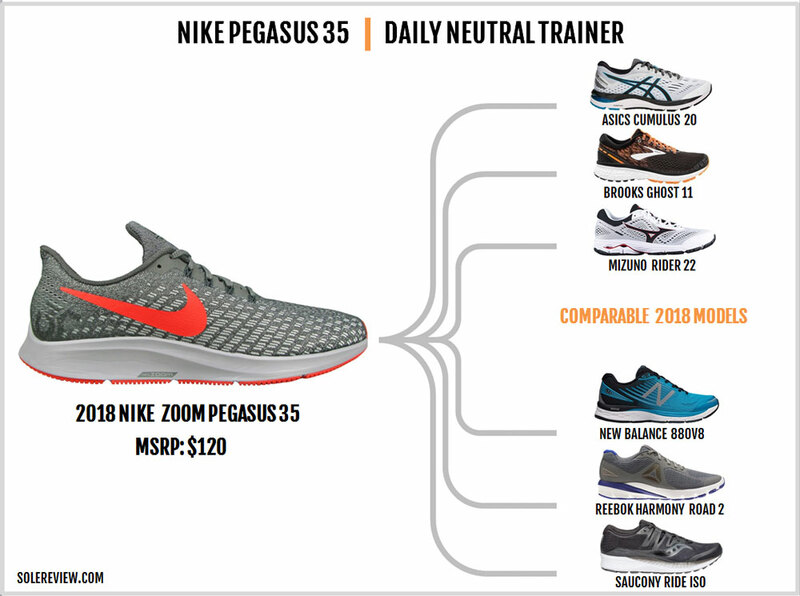 One could use the Pegasus for daily training runs and the occasional marathon. On other days, you could channel your inner Carl Lewis and the Pegasus would still meet your expectations. Regardless of the Pegasus version, the cushioning was neither too soft nor too firm. The upper fit was usually in the sweet spot between narrow and spacious. The ride quality had decent levels of support for a neutral trainer, and the shoe didn’t weigh a lot. And finally, the Pegasus was always a very durable shoe, thus stretching your running shoe dollars farther than the rest. Nike knows the shoe’s strength very well, and the brand has been smart not to mess with the shoe’s core persona. 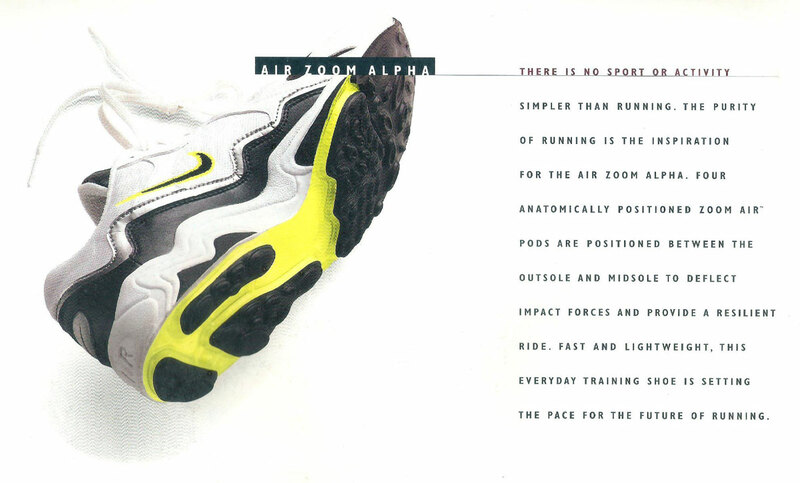 Sure, there have been exceptions like the 1997 Pegasus with Max Air or the 1999 Pegasus ‘racer,’ but then this was in the wacky nineties so we’ll have to cut Nike some slack. We know that putting the words ‘Nike’ and ‘unchanged’ together sounds uncharacteristic. This is a brand which loves to upset things once in a while, with successes and failures following in equal measure. 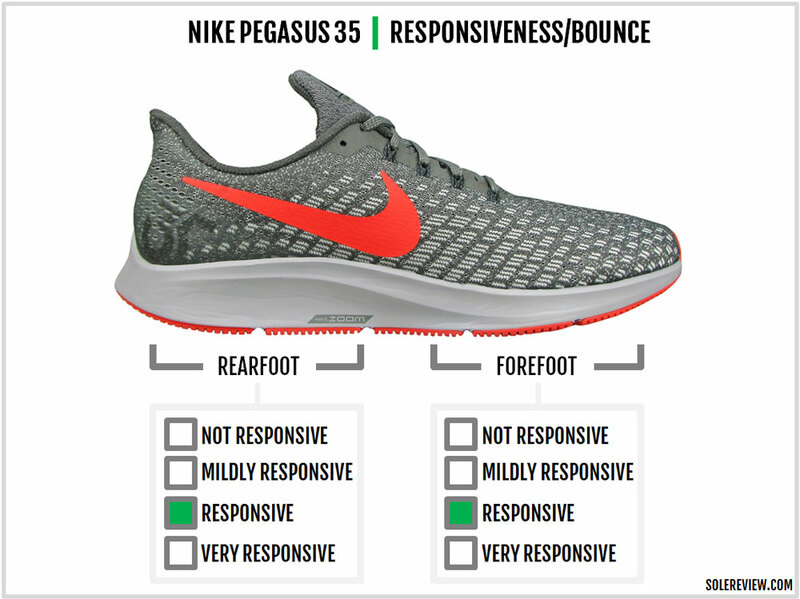 So something has changed on the Pegasus 35. What is it? 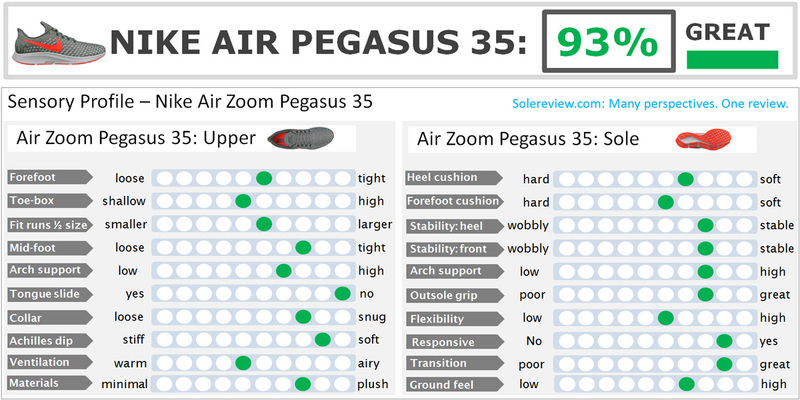 The Pegasus 35’s headlining act is its full-length Zoom Air bag. As the name suggests, this cushioning technology involves a urethane chamber with pressurized gas. 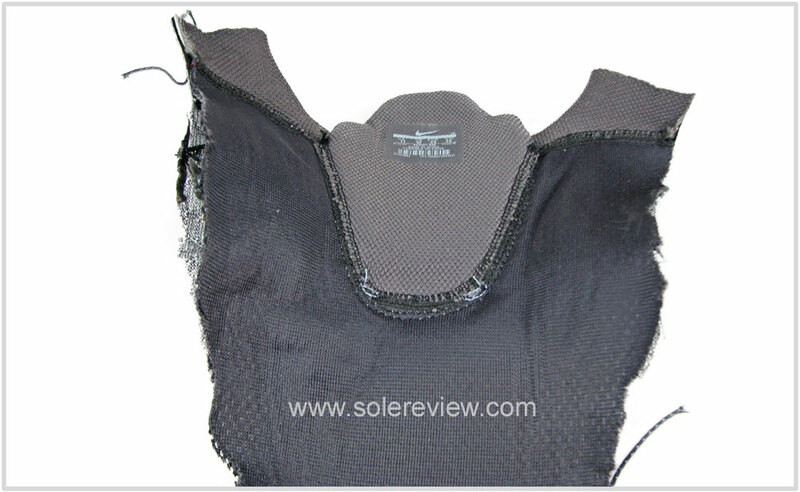 Zoom Air is different from regular Air bags because of its drop-stitched construction. In a drop-stitch construction, the floor and the ceiling of the Air bag are connected by a dense cluster of thin yarns. This design is also used in inflatable SUP boards where their structural rigidity is of paramount importance. The thin yarns also prevent the air from moving around when pressure is applied. 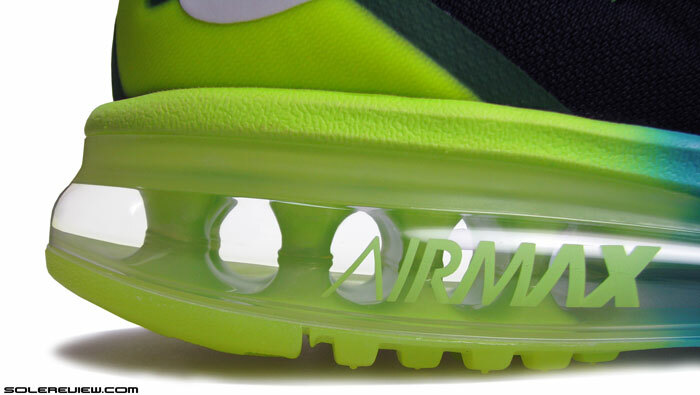 For example, the Nike Air Max 2015 used a regular air bag. Weight loading on the AM2015’s forefoot or heel led to an uneven cushioning due to air displacement. In contrast, the drop-stitched Zoom Air minimizes that occurrence. 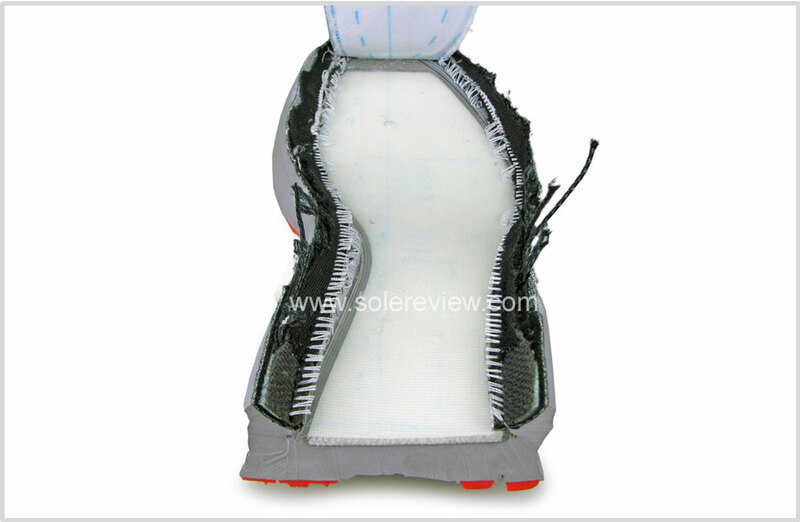 Here’s a cross-sectional picture of the Zoom Air bag which shows the inner workings of a drop-stitch design. 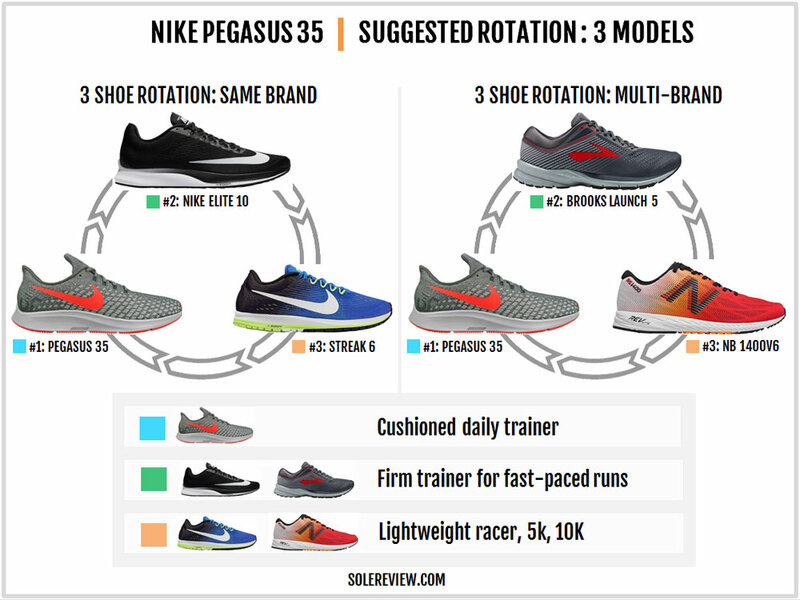 If you haven’t been tracking the Pegasus’s evolution for a while, you might assume that full-length Air is a new thing for the shoe. It isn’t. 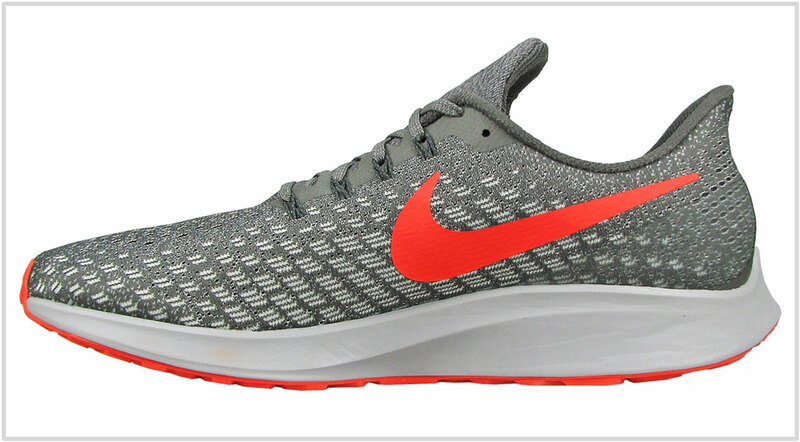 In fact, the Nike Pegasus’s midsole has swung frequently between various Air bag set-ups. The Pegasus 33 and 34 had separate heel and forefoot Zoom bags. The Pegasus 31 had a heel-only Zoom unit. And 10 years ago, the Pegasus 25 and 26 had full-length Air, although it wasn’t Zoom. You should know that there is a significant difference between the single-unit Zoom Air bags and the full-length version used inside the 35. 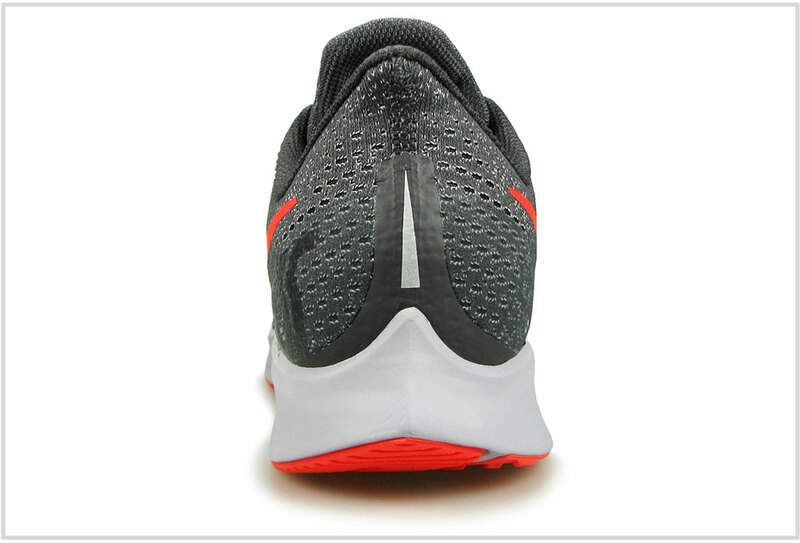 The full-length Zoom design of the Pegasus 35 is half the thickness (refer to the comparison picture above) of the heel and forefoot Zoom found in the earlier versions. This change, we suspect, was done to achieve improved forefoot flexibility. The downside is a lower level of responsiveness and cushioning due to the lower-volume construction. That being said, all these changes have not altered the Pegasus’s value proposition as a daily workhorse. And this is exactly what’s made it so popular – a running shoe which works for everyone. Putting in a full-length Zoom Air bag updates the ride quality. The 35 taps into design inspiration from the elusive Vaporfly 4%, borrowing the boat-shaped midsole and a brand upper with a heel ‘lip.’ As a result, the interiors fit a bit differently than the outgoing model. The changes come at a $10 upcharge. The Pegasus 35 now retails at $120, bringing it at par with comparable models such as the Saucony Ride, the Brooks Ghost, and the Asics Cumulus. Even with a full-length Zoom Air bag inside the midsole, the ride isn’t as pillowy soft as one would imagine. 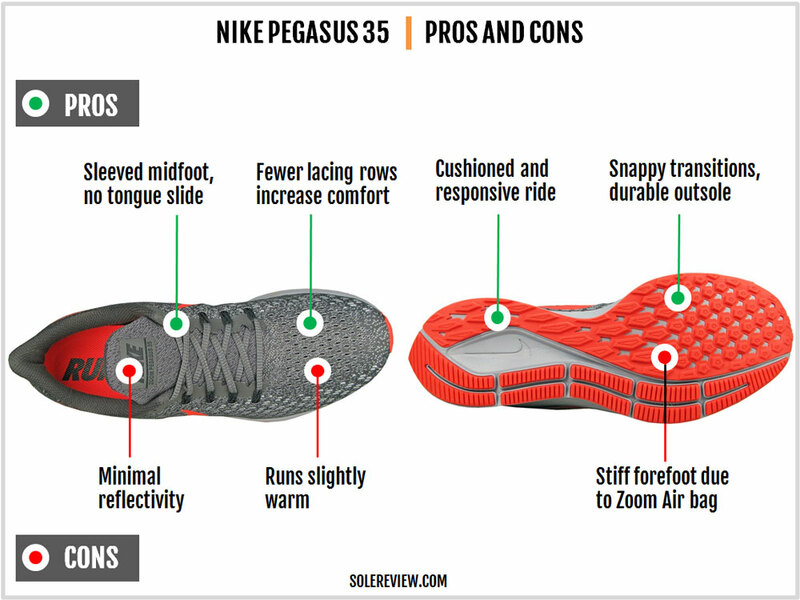 If anything, the Pegasus’s cushioning is more of a medium-soft kind. When you examine the construction, it’s easy to understand why. The outer midsole foam is fairly firm. Unlike the softer Vomero, the Pegasus’s EVA foam has a higher density. And then there’s the matter of the Zoom Air bag itself – the chamber is tightly sprung and offers ample resistance to compression. And then there’s the matter of the drastic reduction in the Zoom Air bag thickness, as evident from the tear-down images. Nike has made a number of changes to the 35’s outer midsole design. Previous Pegasus models had an outer midsole with a compression ridge running down the rearfoot. On the other hand, the 35’s sidewalls are more balanced in nature. Yes, there’s a slight scoop on the outer midsole but that’s more towards the midfoot. Therefore, the new Pegasus has a more ‘neutral’ ride character than last year. 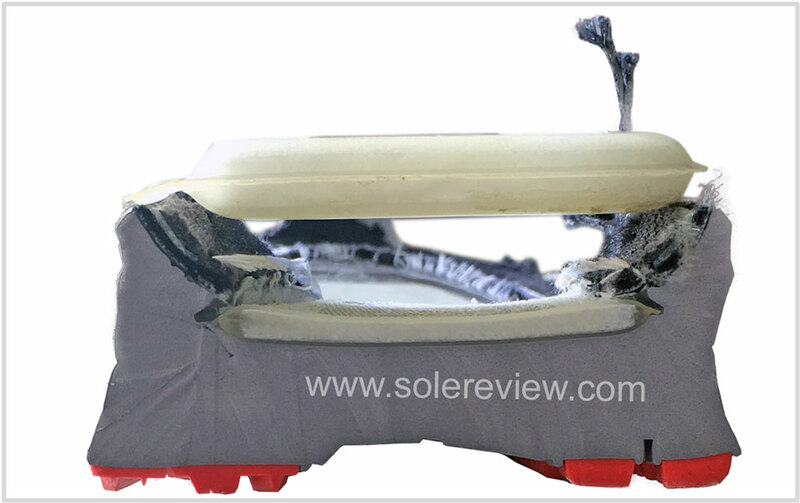 The sidewalls also have molded ridges which project outwards and make the shoe supportive. The outsole is visually similar to the 34 except for three changes. The forefoot no longer has the deep flex groove. 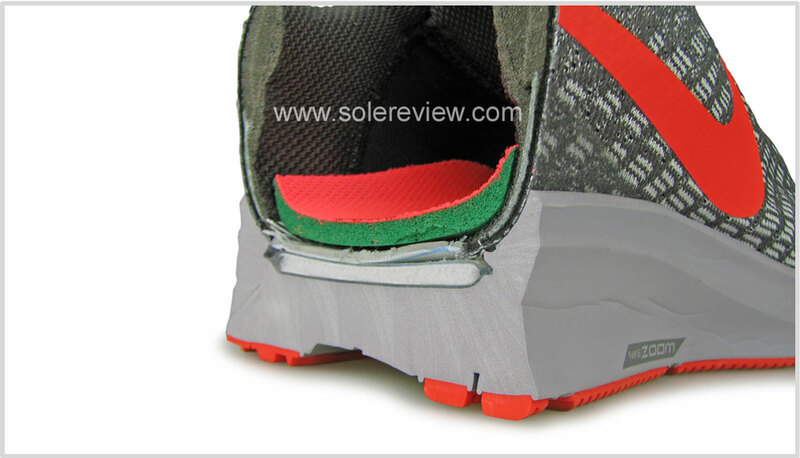 Instead, the rubber outsole on the inner side has a large number of ‘windows’ exposing the midsole foam. The rubber lugs also feel thinner. 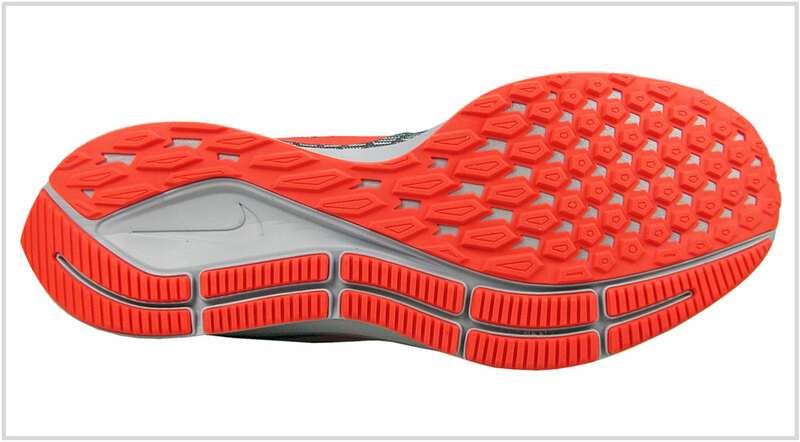 In many ways, the new outsole design resembles that of the Nike Zoom Elite. These updates help outsole articulation during movement and reduce stiffness. This is important for the Pegasus because it doesn’t use a softer blown rubber outsole like the Vomero. The outer outsole is split into five different sections for smooth transitions. 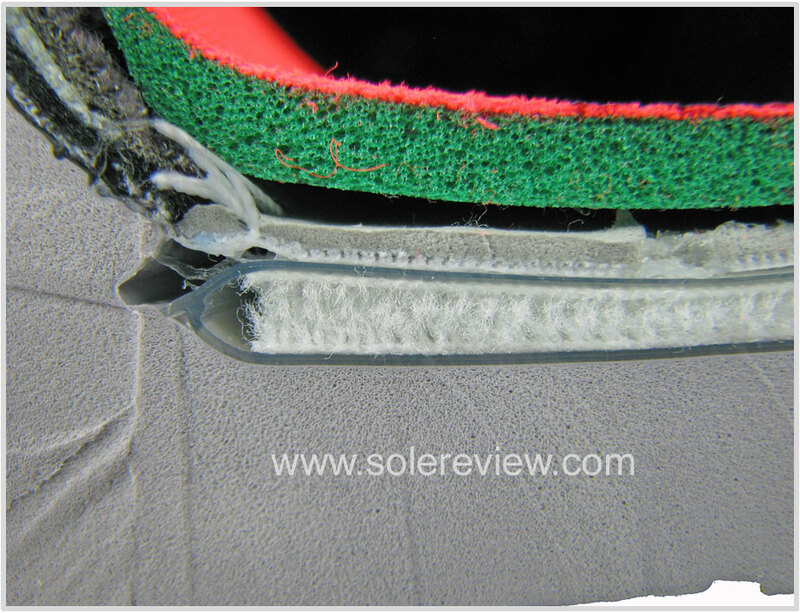 Not that a groove would have made much difference on a shoe with a forefoot Zoom Air bag. 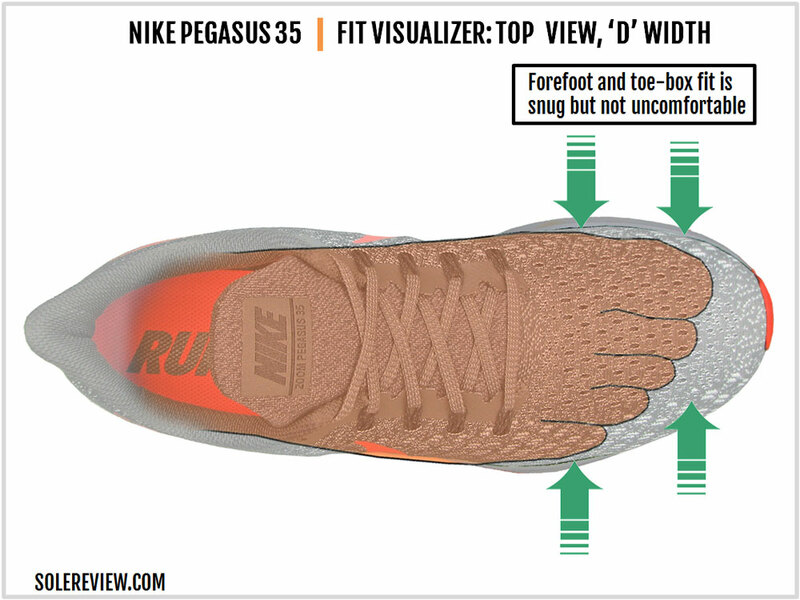 As far as the Pegasus is concerned, the forefoot flex groove ceased to be relevant since the version 33. The heel landing area receives significant tweaks. There’s more solid rubber on the edge, and the pointy end of the midsole has a longer bevel angle. The update makes the heel edge slightly firmer than the 34 but improves the quality of rearfoot landings. If you’re a rearfoot striker, heel strikes happen exactly where they should – clearing the edge by a comfortable margin. Surprisingly, some brands get this part wrong. In recent times, the Reebok Floatride ULTK is a good example. The Floatride design promoted heel edge landing instead of a regular rearfoot strike. The cavity under the heel is shallower. 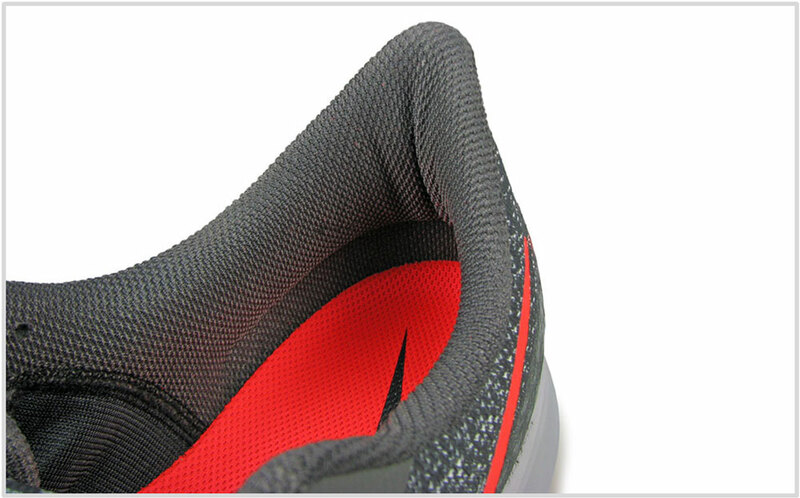 Previously, the area of exposed midsole foam under the heel performed the role of both a cushioning and transition agent. With the shallower design, the Pegasus 35’s under heel area is more of a transition and stability aid than a cushioning one. The midsole is stable to begin with, and the cavity helps center the weight and maintain the transition line throughout the gait cycle. This cavity tapers into a narrow and deep channel under the midfoot and forefoot, bifurcating the outsole into separate sections. The full-length Zoom configuration also makes the ride smoother as opposed to a separate heel and forefoot Zoom Air bag set-up. And this is expected, given the material consistency from the heel to toe. The Zoom Air bag makes the forefoot slightly stiff, and this helps with economical toe-offs. Flexibility isn’t absent on the Pegasus like the Zoom Fly, it’s just that it takes some effort bending the shoe. Underneath, the colony of pentagonal outsole lugs do an excellent job at hugging the surface. Incidentally, one of our readers mentioned that the full-length Zoom Air bag is thinner than the separate Zoom Air units of the Pegasus 34. We’re postponing the tear-down of the Pegasus 35 till we review the Turbo. So it’ll be some time before we can ascertain the change in the thickness of the Zoom Air bag. The theory has merit though; the shoe isn’t overly stiff and there’s even a certain degree of flexibility. 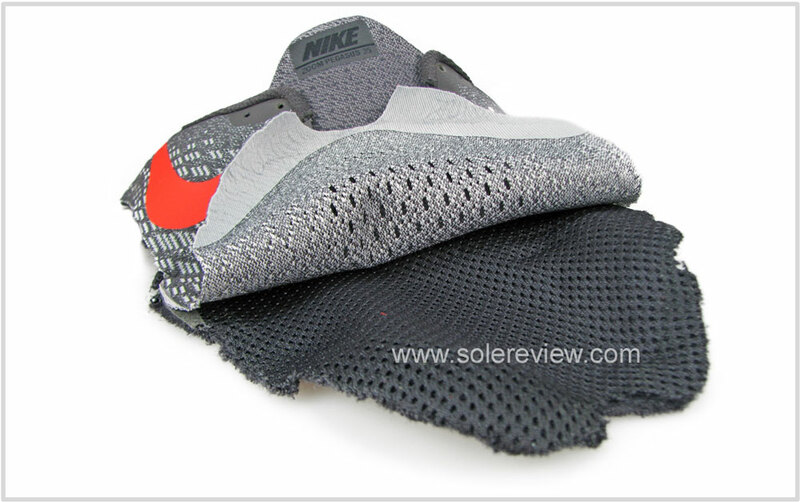 But then, it could be the perforated outsole at work here. Regardless of the thickness, the full-length Zoom Air is effective both from a responsiveness and cushioning perspective. You can feel the pressurized bag deliver a springy feel without being overly cushy. The responsiveness increases with speed, as higher running paces (7 min/mile or under 5 min/km or faster) rewards you with a quick snap-back reaction. The top layers are comprised of a removable blown-foam sockliner and an EVA foam lasting, so there’s plenty of step-in softness for low-intensity activities. A couple of years ago, if you had asked solereview about the one shoe which could do it all, it was the adidas Supernova Glide. But that is now ancient history, and the Supernova hasn’t been the same since. Taking its place is the Nike Pegasus 35. 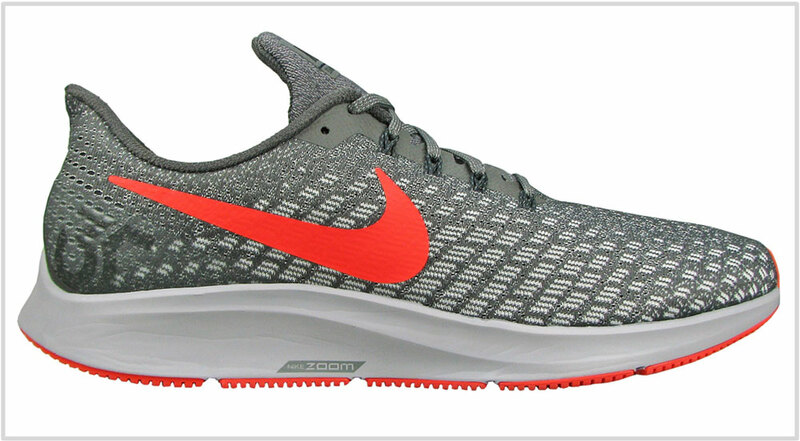 This isn’t to say that the Pegasus 33 was a lesser shoe, but the full-length Zoom and the relatively comfortable upper makes the Nike an even sweeter deal. The Pegasus is good on roads, treadmills, and feels efficient no matter what the pace is. And given the inherent stiffness of the Zoom Air bag, the Pegasus is good for light trails as well. The midsole and outsole provide ample protection from minor imperfections on the trail surface. If you’re run-walking or easy running (10 min/mile or 6 min/km or slower), there’s enough comfort for doing so. At faster paces, the ride feels great too. The midsole is also supportive and very neutral, and this wholesome behavior will appeal to most runners. The build quality is very durable, and the upper is available in four widths. Internationally, the Pegasus is well distributed so it’s easy to get hold of one. The Pegasus is also a great marathon shoe because of its desirable fit and ride manners. Having said that, there’s are a couple of reader insights we’d like to share. 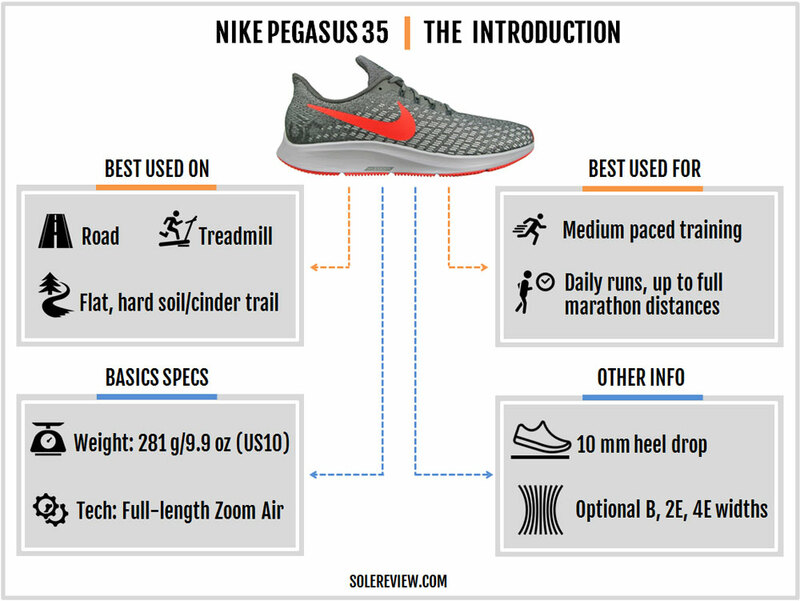 As you know, solereview invites readers to send in their reviews and we’ve received a number of Pegasus 35 reviews. (Thank you!) Most echoed a similar sentiment as this review, praising the shoe’s all-around versatility. 2. “….I was considering using the Peg 33s for my half marathon, but when I took them out for longer runs, as I became fatigued the Zoom Air bag in the front of the shoe would cause my foot to “kick” forward and mess with my stride. It got to the point where when I was running in them that my right hamstring would cramp up and I had to take these shoes out of my rotation. The rebound from the front Zoom Air bag was too much for me. Our thoughts on the first (1.) feedback is that air displacement does occur momentarily for forefoot strikers. 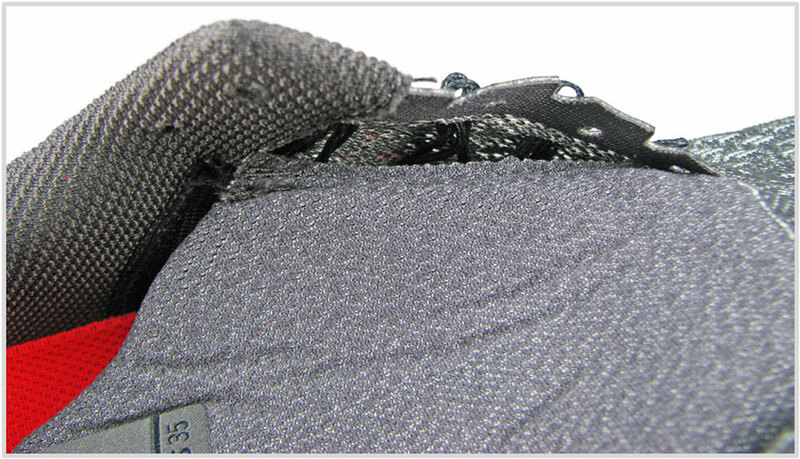 Although, unlike regular air bags, the drop-stitched Zoom maintains its structure extremely well during the gait cycle. It is true that a full-length Zoom Air won’t compartmentalize its content as well as a forefoot-only Zoom Air bag does. Nike should try ‘locking’ its Zoom Air bag by close-fusing the midfoot area. Locking a full-length Zoom Air Bag is an old trick – Nike did it 22 years ago with the Zoom Alpha, and there’s no reason why Nike can’t do it today. It’s worth cranking up some prototypes to see how this design approach works on the Pegasus. We put the second (2.) feedback out there so in the rare instance a forefoot Zoom Air results in a mild discomfort, know that it’s not just you. 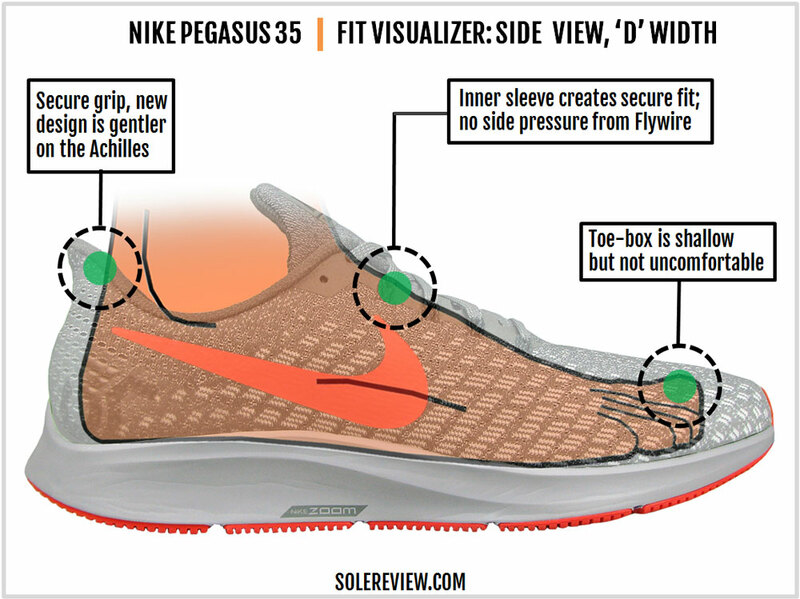 The forefoot Zoom Air will be perfect for most runners, but there could be exceptions. The Pegasus 35’s upper has plenty of noteworthy updates. But one stands out from the rest, and that’s the lacing design. Not only do the laces clear the forefoot entirely, but the new Pegasus also removes one row altogether. So instead of five rows of Flywire-hooked lacing, the Pegasus 35 has only four. And like the 34, the last two eyelets are not connected to the Flywire cords. 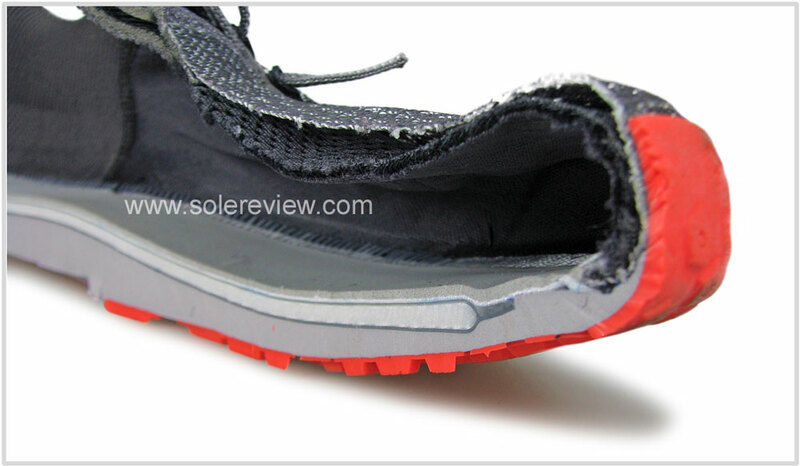 The end result is a forefoot fit which is devoid of the pressure applied by the Flywire cords. 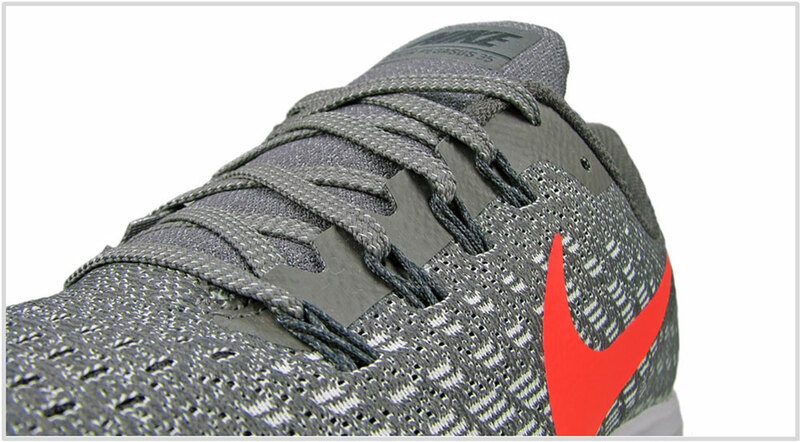 Past Pegasus versions had the Flywire cords extending into the forefoot zone. That design applied pressure over the small toe and also created hot spots. At the time, our DIY suggestion to the readers was to skip lacing the first Flywire row to alleviate pressure. Well, you don’t have to do that anymore. The Pegasus 35’s forefoot is a much smoother and comfortable place to be in. The fit is snug, though. 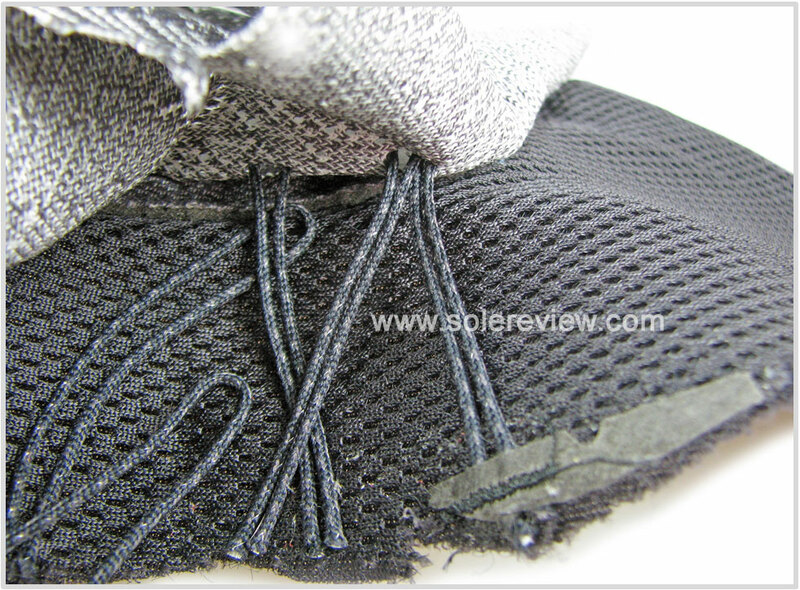 The upper uses an external layer of engineered mesh over a full inner sleeve. Besides making the interiors slightly warm, the design delivers a secure foot lock-down. The snugness is more on the outer/lateral side than the medial/inner side. The mesh hugs the area all the way from the small toe to the midfoot. The fit is just right for regular feet. But if you’ve historically worn a 2E (wide) in other running shoes, buying the wide version would be wise. We say this because the outer mesh doesn’t have any stretch. The inner lining/sleeve is foam-backed with a soft hand-feel, but the upper isn’t going to expand to adjust broader feet. Also, Nike goes full New Balance here with no less than four optional widths. A sizing range of B (narrow) to 4E is available in select colors. The fit is true to size. Like the forefoot sides, the toe-box is vertically challenged. 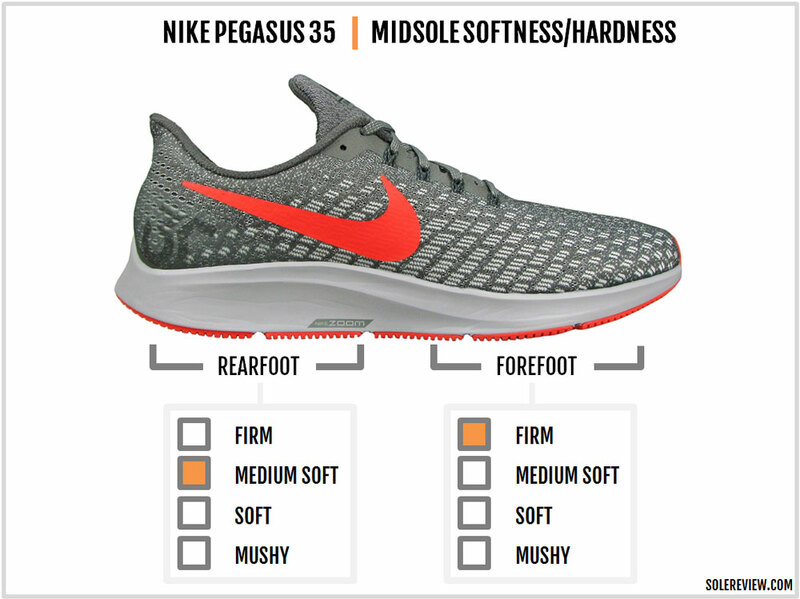 The toe-box height hasn’t been the same since the Pegasus 31, and that applies to the 35 too. The shallowness of the upper becomes apparent when the mesh touches the top of the big toe. That said, the lack of overlays over the upper means that there’s a fair bit of wiggle room for the toes. So in short, the forefoot is snug and the toe-box is shallow but without any pressure hot-spots. There’s an internal toe stiffener, but its role is limited to giving the toe-box a proper shape. The Pegasus 35 gets a new tongue. The flap is longer than the 34’s conventional tongue, and this additional part sits over the instep. The additional length is appreciated. When deploying heel-lock lacing, one no longer needs to worry about the tongue running out of length. There’s an inner sleeve attached directly to the tongue, thus eliminating any chance of sideways slide. The Flywire cords make the midfoot secure, and the flat laces sit flush over the moderately padded tongue. Over the sides, the fused Swoosh logos do their bit by keeping the outer upper from splaying out. Reflectivity is just on the heel center and nowhere else. As always, you’ll probably have to wait for the winterized Pegasus if low-light running is what you intend to do. The flared Achilles ‘lip’ is one of the Pegasus 35’s distinct visual features. Instead of a conventional heel, the collar flares outwards in a ‘lip’ shape. From a styling perspective, the flared collar ties up nicely with the pointy end of the midsole. This update has no negative effect on the fit quality. Rather, we quite like how the 35’s heel fits. There’s no slippage of any kind. The hard, internal counter is molded to provide a cup-like effect. If you view the Pegasus from the side, you’ll see that the heel first curves inwards before flaring out. The soft, padding lining also helps with the grip. 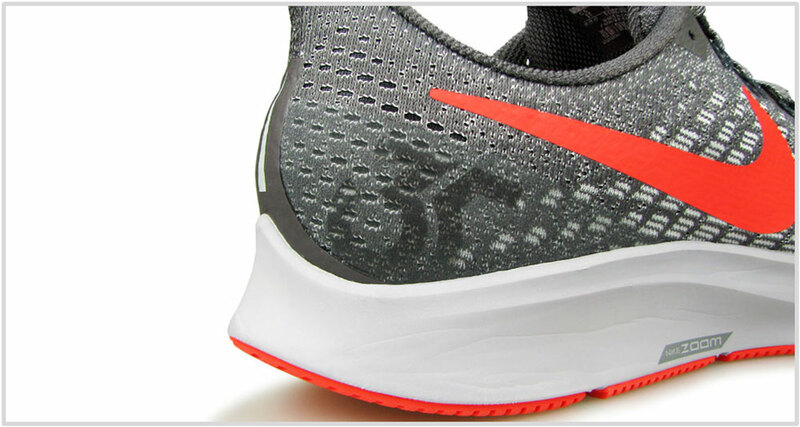 When compared to the 34, the Pegasus 35’s heel is gentler on the Achilles. The outer heel is short on aesthetic details. 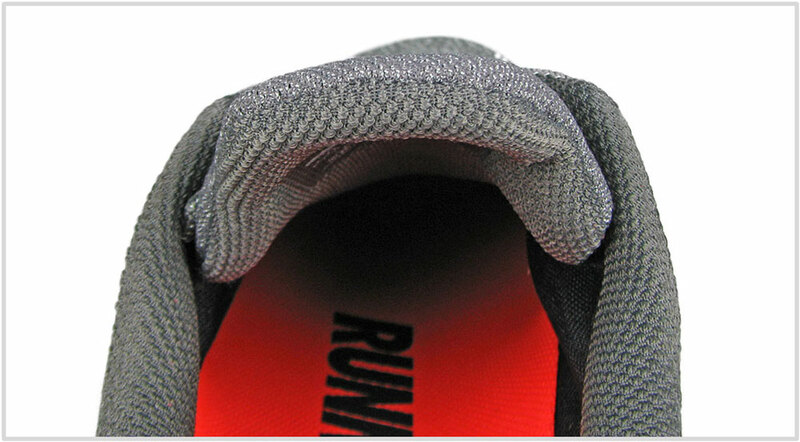 There’s a fused material over the heel center with a tiny reflective strip. A transparent laminate cups either side of the heel, and this section also houses the numeral ’35’. Its overall effect is very subtle, however. Unless you look very closely, it’s easy to miss the branding. A robust build quality is among the Pegasus 35’s many desirable traits. The full-coverage rubber outsole lasts for 400 miles or more, and the full-length Zoom Air bag will keep the cushioning from going flat. 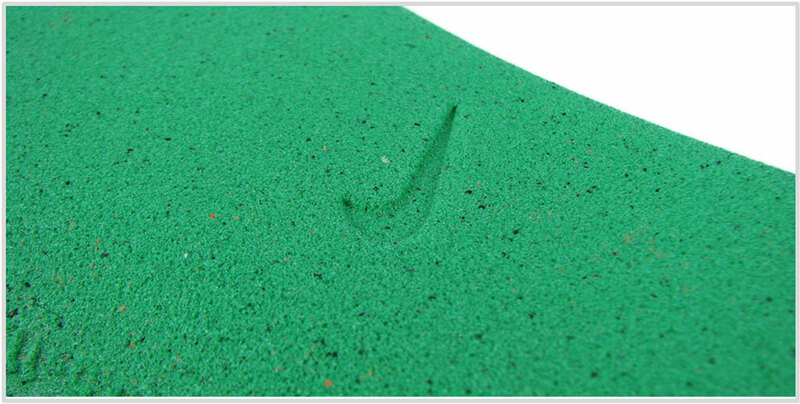 The midsole foam surrounding the Zoom bag is an EVA blend. This and the insole will gradually bed-in over time. So if you sense that the cushioning feels slightly flat after a few hundred miles, it’s most likely due to the foam. Zoom Air bags rarely fail – at least in the first couple of years – and when they do, it’s hard to mistake that for anything else. The upper is double-layered with tried and tested materials, so there’re no (potential) durability concerns. Usually, brand marketing claims are hyperbolic in nature and are to be consumed with a huge grain of salt. But for the Pegasus 35, we’ll make an exception. Nike says that the ‘Pegasus 35 is built for runners at every level,’ and we couldn’t agree more. The firm midsole sidewalls make the ride supportive, and the internal Zoom Air bag delivers plenty of cushioning and responsiveness without slowing you down. At under 10 ounces, the Peg doesn’t weigh a lot while maintaining above-average durability levels. 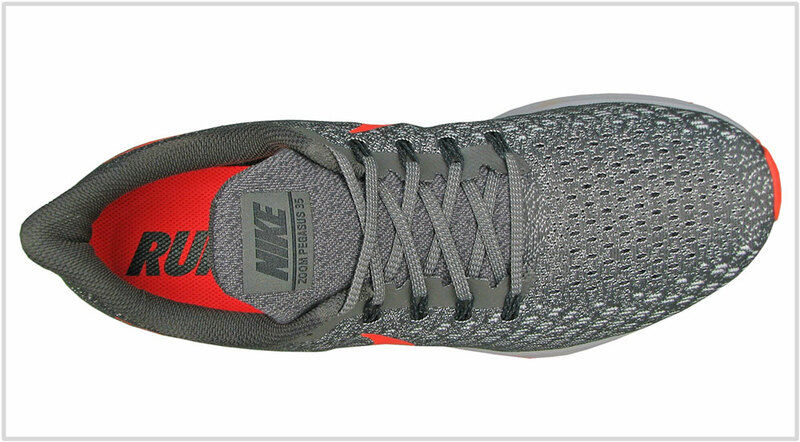 The upper fits comfortably snug, and Nike offers four widths in case you run out of interior room. 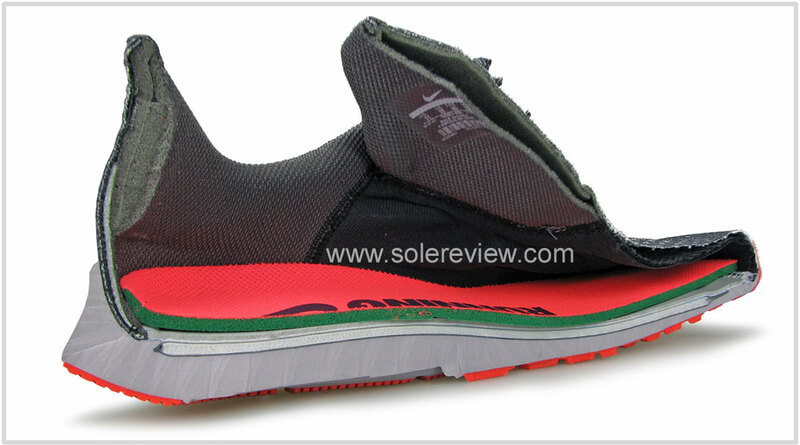 Like the previous version, the midfoot is sleeved and eliminates tongue slide. Due to fewer lacing rows, the Flywire isn’t intrusive like on the Pegasus 34. In the back, the new outwards-flaring heel grips securely. For runners who are used to more flexible shoes, know that the Pegasus has a rigid forefoot. 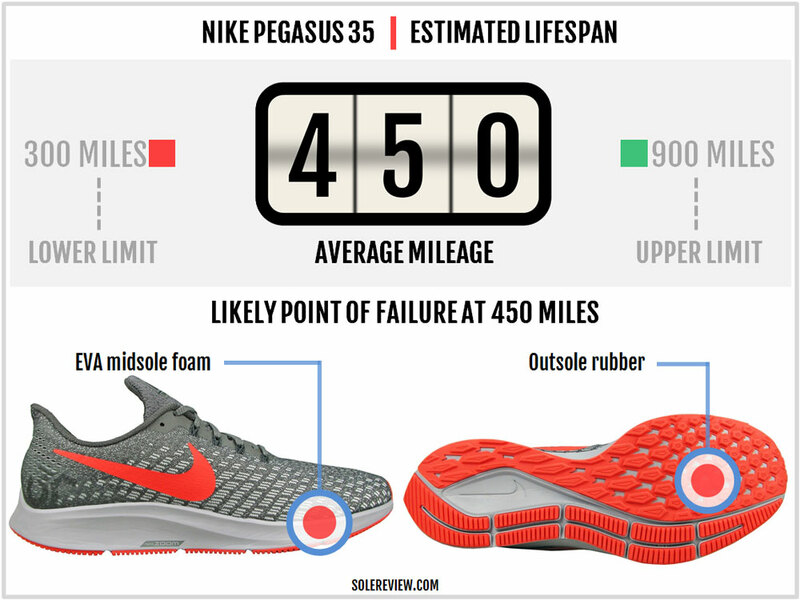 This is because of the stiff Zoom Air bag – the Pegasus 34 was also similar in this regard. However, the 35 is a wee bit more flexible than the 34. The Pegasus 35 also runs warm due to its double layered upper construction. 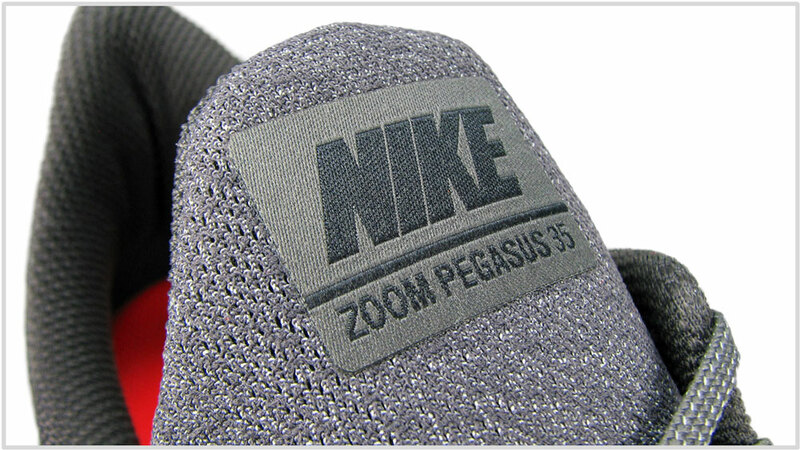 There isn’t a lot of reflectivity either; the small heel trim is all that the Pegasus has for low-visibility running. Ok, this part is slightly tricky. Though the Vomero 13 is supposed to be an upgrade from the Pegasus, the 35’s full-length Zoom is better value than the Vomero’s separate heel and forefoot Zoom Air equipped midsole. Also, the Pegasus 35’s upper is as soft, if not more than the Vomero 13. So until the Vomero 14 drops (which is rumored to have a React midsole), the Pegasus-Vomero tiering will stay a bit blurred. But, but. The Vomero 13 still has a softer ride than the 35 due to its blown rubber outsole and a softer midsole. So if you like a cushier ride, it’s worth paying the $20 extra. 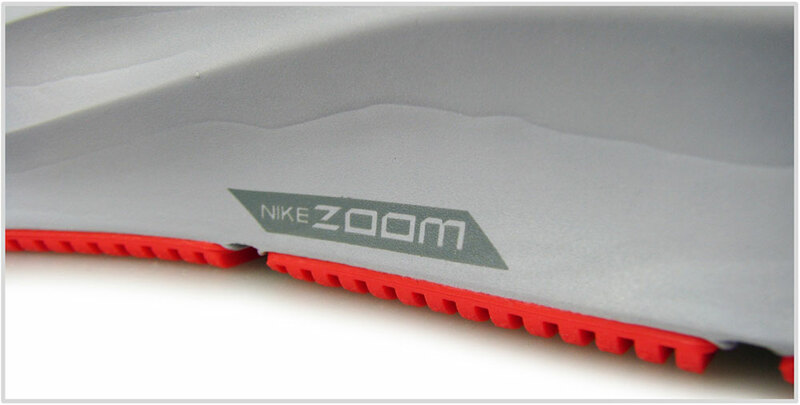 Below the Pegasus, the Zoom Winflo 5 offers decent value. It retails in double digits, and the midsole has a heel Zoom and Cushlon EVA foam. The upper isn’t very fancy but gets the job done. 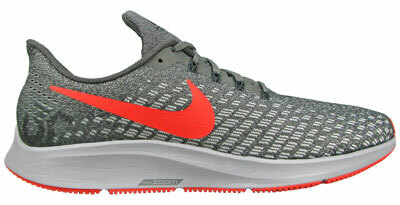 Nike has recently released the Zoom Elite with minor updates. The Elite 10 has the same sole as the 9, and the upper has a snug fit. This means you get a firm ride and a secure upper conducive for faster runs. The Elite’s a good shoe to rotate with the Pegasus if you need a shoe with better speed manners. If you don’t want another set of Swooshes, then the Asics Roadhawk or the Brooks Launch are firm-riding equivalents for fast training runs. The Zoom Streak 6 or the New Balance 1400V6 are great for 5K and 10K races. If you want to go even more minimal and spend less, the Nike Zoom Speed Racer 6 is the perfect 5K shoe. You’ll see a lot of familiar names here. When considering the ride quality and overall range of utility, the Saucony Ride ISO is comparable. Its midsole is neither too soft nor firm, making it suitable as a trainer capable of wearing many hats. The Mizuno Wave Rider 22 is another option if you’re looking for a daily trainer which isn’t overly cushy. 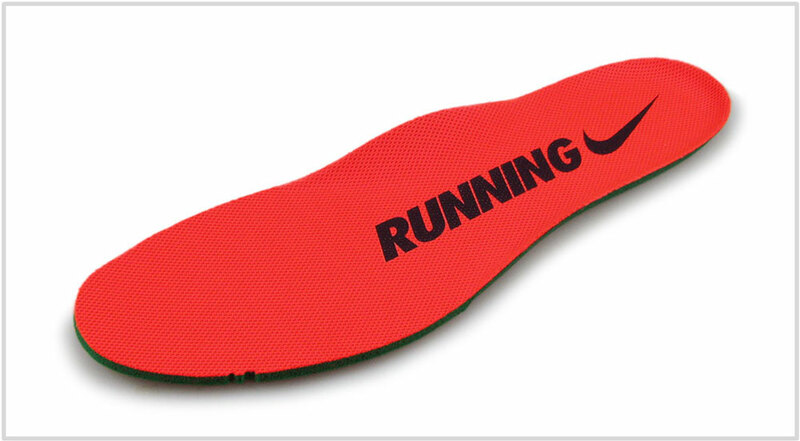 The Wave plate adds a bit of snap to the ride, and the broad forefoot midsole is very stable. The 22 has a perforated heel midsole, so the ride is softer than the 21. Recently some excellent running shoes are coming out of Reebok. The Harmony OSR Road 2 is priced the same as the Pegasus and has a cushioned heel with a relatively firm forefoot for efficient transitions. If traditional neutral trainers are your thing, then you have a couple of solid options. The New Balance 880V8 has all the trappings of a modern running shoe – like the engineered mesh and fused overlays – but retains legacy design elements such as plastic midfoot shank, a supportive dual-density midsole, and a conventional upper silhouette. The Asics Cumulus 20 is another shoe you could look at. The multi-layered midsole isn’t mushy, and the shoe is lightweight within its segment. Lastly, Brooks has simplified the design of its popular neutral trainer, the Ghost. There’s a new midsole with updated materials and the upper leaves most of the overlays behind. The DNA Loft rearfoot is softer than the G-10, and the upper has a smooth and streamlined fit. 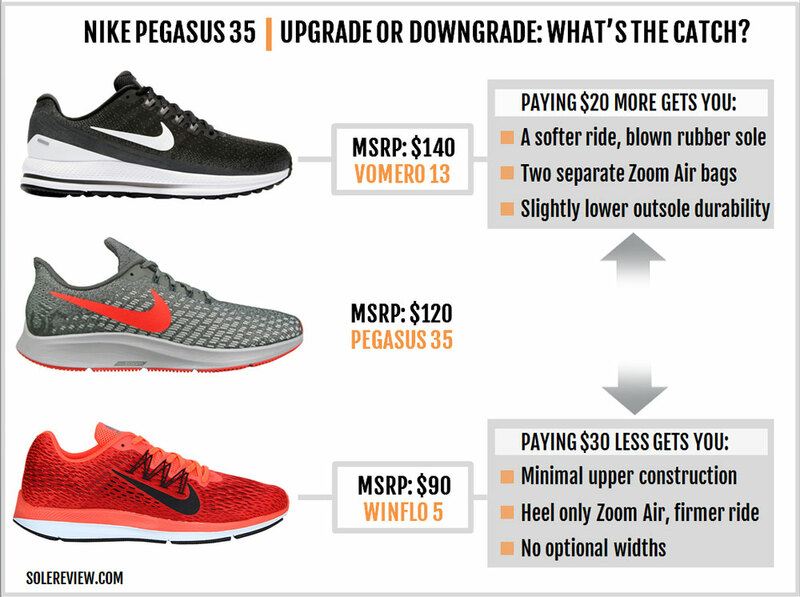 The Pegasus 34 is a fallback option for a lesser price if you’re not a fan of the 35’s new midsole and upper design.